Tsubaki's 8th model upgrade, celebrating 100 years of quality. 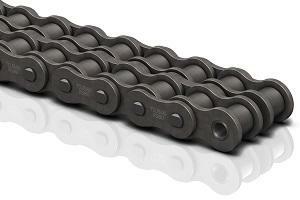 Pursuing the ultimate in quality, Tsubaki has created the world's highest standard of roller chain. 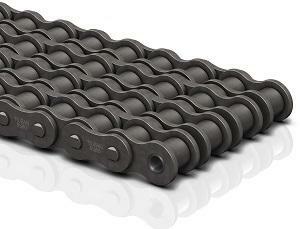 RS25 - RS35 are rollerless chain (only bush). The figure shown is the bush diameter. Connecting links are clip type for sizes up to RS60, and cotter type for sizes RS80 to RS200. RS240 connecting links are spring pin type. 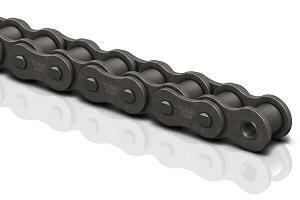 When a single pitch offset link is used, please calculate a 35% reduction of the fatigue strength. 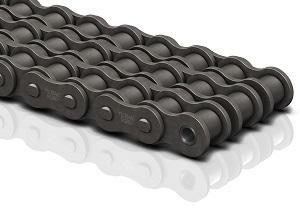 The listed sizes are stock items, other chain sizes are available on request . Download any of the G8 catalogues in PDF, here.